As women, we recognize first hand the importance of building a young girl’s voice, self-perception, and skillset if she is to shatter expectations concerning a “woman’s place” in society. To give us - their children - better educational and professional opportunities, our parents immigrated to the United States and worked tirelessly to support and encourage us. Education was paramount in our household, as were high expectations of scholarly achievement and future success. Our parents raised us to trust that we could achieve anything we desired as long as we were willing to work hard to learn and grow. They established an environment in which building our confidence and providing access to education was the predominant focus. As three sisters in very different career paths - one a pediatrician, one a marketing executive, and one an educator - we have worked hard to make good on our parents’ sacrifices and lessons. However, despite their efforts, the near perfect environment, and our accomplishments, we have been impacted in tangible and intangible ways by self-doubt and low confidence. And we are not alone. Though women have made major strides in business, education, and politics, gender disparity in STEAM-related fields remains all too apparent. While jobs in these fields continue to grow by leaps and bounds, our girls are neither prepared nor encouraged to pursue them. According to the US Department of Labor, there will be 1.4 million jobs in computer science in the next five years, yet less than a third of female college graduates will be prepared for such careers. While studies of the “achievement gap” tend to focus solely on racial disparities, our research reveals that gender is also a major contributing factor to inequality in educational and career achievement. We came to understand that young women’s achievement is directly tied to their self-esteem, which is already under attack from an early age. To change the story of our young girls we need to start with their educational and social experiences. We founded the Inspire Girls Academy to make those changes. We believe that we can increase young girls’ self-esteem, confidence, and interest in STEAM-related fields and provide substantial solutions to the inequities in their educational and social experiences. We believe that we can do so by working to create innovative programming whose primary focus is molding healthy female leaders for the future. Shalini will take the reins in implementing the vision and mission of Inspire Girls Academy. She has the skills, knowledge, and background to oversee IGA’s programs and expertly craft a research-supported curriculum that works. Over the past decade, I have been fortunate enough to be in a role that has helped shape the lives of so many students. But as a little girl, I did not dream of a life in the classroom. I wanted to be the weatherman. I religiously watched the weather updates and was fascinated by how clouds formed, hurricanes swirled, and tornados whirled. As much as I watched, I never saw someone like me on TV and was intimidated by the risk. I did not realize that it was even an option. I did not ask questions and instead of exploring the pathway to being a meteorologist, I took the safe approach and became a teacher. As my career continued, I have been able to accelerate teachers’ growth by working as an instructional coach across the nation to support new teachers in creating engaging classrooms. As I visited schools in different geographic and socio-economic areas, I noticed one resounding trend. As girls progressed through their education they were less likely to ask questions, make a second attempt at a solution, or share with the class unless engaged directly - these were girls just like me. My path and experience has led me to realize first hand the importance of building a young woman’s voice and confidence to speak up for what she believes and not allow societal norms to dictate one’s future. I want to break down these traditional gender roles and support the girls that we work with to believe that they can achieve or become anything they desire. In creating the curriculum and learning experiences for the young girls, I have put an emphasis on supporting them to build the skills and habits of mind that are developmentally appropriate. Incorporating the lens of health, body, and mind in all aspects of the girls’ learning. My professional experiences have guided my passion for education that empowers. My journey has fostered my drive and determination to start a movement in our educational system. Today, I continue to consult as a Program Director with the New Teacher Center where I develop curriculum around learning differences and social emotional learning. The New Teacher Center is a national non-profit organization aimed at accelerating new teacher practice to increase student achievement. I am also a National Faculty member with the Buck Institute for Education (BIE). As a mission-driven nonprofit organization, BIE creates, gathers, and shares high-quality Project Based Learning instructional practices and products and provides highly effective services to teachers, schools, and districts. Preceding these roles, I was an Associate Program Director at the New Teacher Center where I trained and developed teachers, mentors, and instructional coaches in Chicago, New York City, and Waterloo, Iowa through a nationally researched curriculum. These mentors and instructional coaches support new teachers to cultivate and grow their skills. I also consulted locally and nationally with district leaders to share expertise and develop programs that improve new teacher practice resulting in increased student achievement. Prior to this role, I served as an Induction Coach in Chicago Public Schools with the Chicago New Teacher Center. In this role, I supported schools and teachers in the implementation of an inquiry-based curriculum. In addition to planning and facilitating professional development, I provided school-based support to new teachers in the form of observational feedback, model lessons, and co-teaching using a set of researched based Formative Assessment Tool System. I began my career as a primary educator on Chicago’s Southside, and dedicated 5 years to teaching in the district. In this short time, I established a solid background in teaching a diverse group of students and working with a varied group of administrators and staff. I proved to be an outstanding instructional leader committed to using data to motivate the continuous development of professional practice that support improved student outcomes. I attended The Ohio State University where I received a Bachelor of Science in Psychology. I then attended the University Of Pennsylvania Graduate School Of Education where I received a Masters in Elementary Education with a focus on urban education. Recently I earned a Masters in Educational Leadership and Administration from the University of Illinois Champaign Urbana. Currently my certification is in Educational Administration (Type 75) as well as a certification in Elementary Education (Type 3) for the state of Illinois. 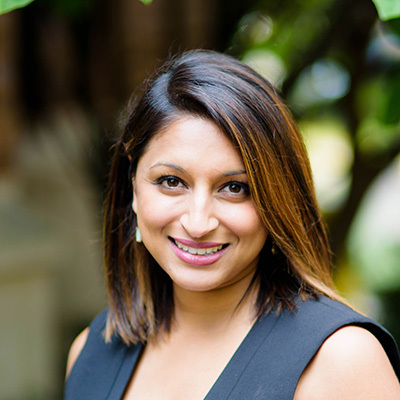 Roshni will use her medical knowledge and expertise to ensure the Inspire Girls Academy is thoughtfully caring for your child’s mind and body. She will consult with the instructors to ensure we are providing holistic experiences for the students. Along my path I have always found ways to intertwine health science, holistic wellness, and education. Whether it was the courses I chose in college or the positions I accepted as a pediatrician, both education and medicine remain constants in my career. On this same road I found my passion for gender and racial disparities not only in health and education but in the world around us. From a very young age I noticed these disparities in my own life too, whether it was obvious like when I was told little girls are quiet and must mind their manners, or it was more subtle like when I was encouraged to pursue general pediatrics over pediatric surgery because the former was more suited to a wife and mother. As I progress in my life and career, I realize that my experiences are shared by many women, including my own sisters, and that I can combine all of my passions of education, science, and addressing gender disparities in a way that will not only fulfill my dreams but may help fulfill the dreams of other little girls. Presently, I am the Assistant Medical Director for PM Pediatrics of Midwood in Brooklyn, NY, overseeing all medical operations for the practice. Before assuming the role of Assistant Medical Director, I was a lead physician at PM Pediatrics of Livingston, NJ. Prior to moving to the New York area, I began my career at Emory University School of Medicine and started to combine my passion for medicine and education. I was the Associate Medical Director of Urgent Care Services at Children’s Healthcare of Atlanta at Egleston and Hughes Spalding. I also held the position of an Assistant Professor of Pediatrics at Emory University School of Medicine within the Division of Pediatric Emergency Medicine. In these roles, I not only practiced medicine and was responsible for the daily operation of the emergency room in 2 different hospitals, but I also taught medical students, residents of various specialties and mid-level providers in the daily clinical setting. I also presented as a guest lecturer on a wide range of topics within pediatrics and became an expert in the evaluation of an abused child through my tenure at Emory University. I also lead and trained many students in workshops on this topic and on procedural skills within my practice. I continue my teaching mission in my current position as well. While working at Emory, I was appointed to the board of the “The Children’s 1998 Society” which is the physicians’ philanthropic organization for Children’s Healthcare of Atlanta. I was honored to actively participate in the Health Law Partnership through my seat on the advisory council and as a physician advocate. The Health Law Partnership (HeLP) is an interdisciplinary community collaboration between healthcare providers and lawyers to improve the health and well-being of low-income children and their families by addressing the multiple determinants affecting children’s health. In addition, my interests lie in child advocacy, emergency department flow and efficiency, medical student and resident education, and health disparities. My various roles and responsibilities continued to hone my passions. I attended Emory University where I received my bachelor of science in biology with a minor in education. I then attended the University of Cincinnati College of Medicine in my home state of Ohio. After graduation from medical school, I rejoined the Emory community and completed residency at Emory University School of Medicine in Pediatrics. Upon completion in 2006, I started working with the Division of Pediatric Emergency Medicine at Emory University School of Medicine. I then moved to New York City and joined PM Pediatrics where I currently work and continue to serve as a medical provider, leader, and an educator. 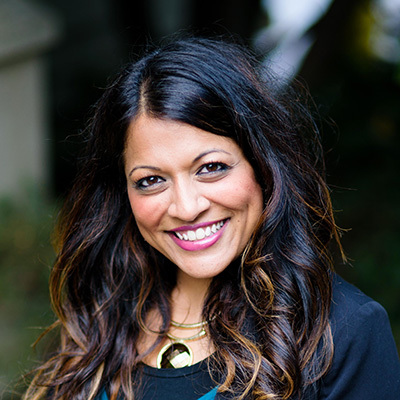 Malini will share her expertise as we build our Inspire brand, create strategic partnerships with organization that share our values and to ensure our success for years to come. I currently work at Beam Suntory as Vice President – World Whiskey and Americas Innovation. I only recently accepted this new position in large part as a way to continue to challenge myself to grow. While this seems like an obvious reason to move, I can tell you that I wasn’t always this way. Early in my career, I, like many young women was plagued with self-doubt, undervaluing my own abilities and letting luck take the credit for my achievements. I was fortunate enough to have bosses who noticed my abilities and who would make opportunities available to me, sometimes before I was truly ready and always before I believed I was ready. It was through repeated exposure to roles that were bigger and bigger, more and more ambiguous that I truly begin to recognize the value that I was bringing. These experiences helped to shape the way I viewed taking risks, trying something new, and speaking my mind. The things that use to scare me now energize me. These experiences are also the catalyst for my understanding that I was lucky to have been given the opportunity but that I had also earned those opportunities. I have taken it upon myself, at every company I have been employed at to help mentor young women plagued with self-doubt. I share my experiences and encourage them to explore and trust in their abilities. To go after what they want and to continually seek to grow. While I do believe I have been able to help many young women along the way, it has always been a dream of mine to find a way to leverage my education, skills and experiences to help transform the lives of others in a meaningful way. Inspire Girls Academy is just that. This school and the curriculum will help equip girls early on with skills that they need to explore, fail, learn, and grow. This will allow them to believe that obstacles are meant to be overcome and that no dream is unattainable. Prior to this role at Beam, I have vast experience and expertise in brand development, brand positioning, portfolio diversification, strategic partnerships, marketing innovation and commercialization. I worked at MillerCoors here in Chicago until July 2015 where I was tasked with running the Coors Family of Brands, leading a marketing team and global council to oversee this $2.6B portfolio. Prior to joining MillerCoors, I was the Head of Marketing, Strategy & Operations for Skinnygirl & Bethenny Frankel at BB Endeavors. In this role, I had ownership over the P&L for the entire business with full responsibility for business and brand strategy, leading product development, publishing, media, and endorsements projects to deliver outstanding business results, more than doubling revenue over the 2 years of my tenure. Prior to that, I spent 7 years at Unilever on global brands, including AXE and Degree Deodorants and Dove Men+Care. During my time at Unilever in senior brand roles, I had a number of business successes, including the global launch of Dove Men+Care Face, leading the Innovation Team to deliver superior technology and new packaging design, and doubling the Degree Deodorant business. I graduated from The Ohio State University where I received a Bachelor of Science in Business Administration with a concentration in finance and marketing. I immediately joined the workforce at JP Morgan Chase for three years until I began my time at Unilever. During my tenure at Unilever, I pursued a Master in Business Administration at Kellogg School of Business at Northwestern University as a part of their executive MBA program. The Educational Advisory Council will consist of experienced teachers and administrators who will regularly review and improve our programming to ensure that IGA consistently delivers the best possible curriculum and experiences for our girls. Amy is a passionate National Board Certified educator that has spent years supporting teachers and students through Chicago Public Schools, The New Teacher Network, The Center for Teaching Quality, Teach Plus and most recently, the New Teacher Center. Amy’s commitments to education include a Master’s Degree in Elementary Education from DePaul University and a Master’s Degree from Concordia University in Educational Leadership. Amy also serves on the advisory board for the Center for Chicago School Research. Amy believes that education in the United States must continue to move toward providing a thoughtful, caring and rigorous education for all students regardless of the differences that they bring to the classroom. Arjun Venkataswamy is a technology educator who is passionate about helping beginners bring their ideas to life. He has undergraduate degrees in Industrial Engineering and Psychology from the University of Illinois at Urbana-Champaign and a masters in Education from Northwestern University. He's taught and built web development curricula for The Starter League, Chicago Public Schools, The Latin School of Chicago and the Kellogg School of Business. Arjun is inspired by seeing students transform from consumers into creators. Karen Love is an educator dedicated to supporting Chicago schools working with children ages 0-18, their families and school staff. She has an undergraduate degree from University of Wisconsin-Whitewater in Early Childhood, masters and doctorate degree from Loyola University Chicago in Curriculum and Instruction with a Reading endorsement. Karen has worked in private child development centers, Chicago Public Schools and was also a founding educator for a charter school. At the beginning of her career, Karen worked as a one-on-one aide for an autistic child, then became a primary grade teacher before working as a Literacy Coach and Curriculum Coordinator. Currently Karen works as the Multi-Tiered Systems of Support Coordinator for one of Chicago Public Schools where she provide support to teachers, parents and students. She also is a consultant with National Lewis University working to redevelop their special education program and to support the Response to Intervention process in the school psychology program. The key to learning is to accept each person where they are at and work with them to develop their confidence level and skill level to achieve their goals. Each day, she is inspired by watching this growth take place in herself and those that she works with. Kyle Miller is in his twelfth year working in education and his fifth year with the New Teacher Center (NTC). Kyle graduated from National-Louis University with a Master of the Arts in Teaching in 2003 and a Master of Science in Counseling in 2010. His experiences include teaching elementary and high school English, School Counseling, and Community Counseling. During his time with NTC, Kyle has worked as an Induction Coach, Lead Coach, Associate Program Consultant, and is currently an Instructional Designer. In his time in the NTC Chicago office, Kyle has authored and facilitated professional development sessions focused around Classroom Management and Social Emotional Learning. In his current position as an Instructional Designer at NTC, Kyle’s role is to develop and facilitate professional learning experiences and resources centered on social and emotional learning and learning differences. Kyle also works as a part-time private practice psychotherapist. Kyle believes in the power to change the world through self-awareness, authenticity, and compassion. Peter is a Nationally Board Certified Early Childhood educator who spent over a decade teaching in the primary grades in Chicago. In his current role, he is mentoring new teachers in Chicago Public Schools under a federal grant for the New Teacher Center. Throughout his career, he has had extensive experience designing instructional content for primary students and has supported educators in their design and implementation of Common Core based units of study. Peter has authored and delivered professional development focused on best instructional practices for primary students. Sharon Grady is a Senior Program Director with the New Teacher Center (NTC), a national non-profit dedicated to improving student learning by accelerating the effectiveness of new teachers and school leaders. Sharon is responsible for leading comprehensive teacher induction programs and projects across the nation. 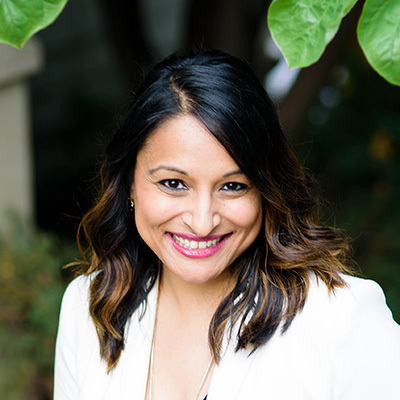 She currently serves as the site lead for an i3 Investing in Innovation Validation Grant dedicated to determining the impact of full-release mentoring support on teacher effectiveness, student achievement, teacher retention, and capacity building in Chicago Public Schools. In her work dedicated to meeting the needs of all students, she serves as the Director of Learning Differences, supporting the NTC in an effort to create learning environments that help all students identify their strengths in order to be successful in school. During her career, she has provided instructional supports to diverse learners in their least restrictive environment and supported teachers of diverse learners as a mentor. She received her Bachelor Degree from Southern Illinois University, a Master Degree of Science in Curriculum and Instruction from Purdue University, and a Master of Science in School Administration from Governors State University. Sharon believes that every student has unique strengths and areas for growth and envisions school environments that respect and embrace these individual learning differences. RYE Consulting's partnership with Inspire Girls Academy is rooted in the goal to provide an inspiring STEAM based learning environment for girls in Chicago. RYE understands that an effective school must have strong academics that are complemented by sound business processes and responsible fiscal operations. Through our engagement, RYE provides guidance for strategic and innovative partnerships that further our mission. Their outreach provides creative results that foster new sources of revenue, key visibility, and expanded relationships. Our programming will have high quality, experienced teachers with a proven track record of success in advancing academic achievement and building strong relationships with all students. An Inspire Instructor will be an excellent communicator and caretaker who is willing to take risks, challenge students, and have a deep love for teaching. They will have extensive knowledge of the curriculum, and encompass our mission and values through their actions as well as through their academic credentials. Girls start being aware of dieting and body types by first grade, and about 50 percent of all girls between 6 and 12 say that they’re worried about their weight. Girls get less attention in class. They are called on less and interrupted more. Girls are socialized to take turns, listen more carefully, not curse, and resist interrupting in ways we do not expect boys to. In other words, we generally teach girls subservient habits and boys to exercise dominance.